While some who write these pieces have actually read files, more often than not, they are written by people who attended law school and use their experiences as an applicant to shed light on the process. How are files really reviewed for law school? I am not a good standardized test taker. Will the committee really read everything I submit or do they just care about the LSAT? In this blog, we reveal the secret to what happens behind the scenes when your file is reviewed. The Mystery Revealed: It depends on the school. In reality, there are 200-plus ABA-approved law schools in America. Each school is filled with professional staff and faculty with passion for recruiting, enrolling and retaining the best, brightest and most diverse and inclusive classes possible. Most law schools review files holistically, reading all items included in the file, and do not just look at the LSAT and GPA. As a result, the faculty and staff have processes in place that work for their law school and, while similar, nuances in committee structure or how many people read a file, will exist. Law schools get many more applicants than they have seats available, so they must make tough decisions. In fact, applicants are on the rise, so it is becoming a sellers’ market to some extent at many places. Also, applicants tend to apply to six or seven law schools on average, and schools recognize that not everyone they admit will accept their offer. Finally, like it or not, the rankings play a role – schools are under pressure to maintain or increase credentials. Students want to go to a highly-ranked school and alumni want the value of their degree to grow. Most law schools study their enrollment, graduation and bar passage data to help them admit students with the best likelihood of being successful and passing the bar. Schools do not want to see students fail out and much more goes into student success than just the LSAT or college GPA. While a school may have goal LSAT and GPA percentiles, they often admit candidates who fall below the 25th LSAT and/or GPA percentiles because of other reasons. These candidates may show tenacity, passion, work ethic and the ability to thrive after facing adversity. They bring unique experiences and backgrounds to the law school and enhance diversity of thought in the classroom. Who sits behind the magic curtain? At most schools there is an admission committee and not an All Powerful Oz. Their role in reading files will certainly vary because schools have different committee structures, enrollment priorities, applicant pool volumes and credential goals. The way files are reviewed and the importance placed on certain credentials (LSAT, GPA, class rank, major, leadership experience, writing skills, etc.) varies from school to school. There are schools where professional staff read files first, sending only more challenging files to faculty members. At other schools, several faculty and professional staff read files simultaneously and each applicant gets three or four reviewers. There are also schools with student and alumni readers. But know with certainty, all law schools have professional and experienced members of their legal community reviewing applicant files. 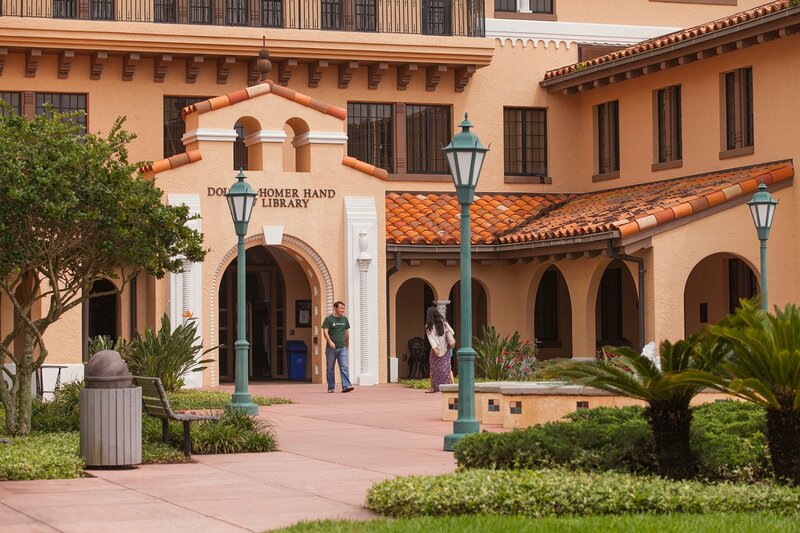 At Stetson Law a combination of professional staff and faculty read files. Several faculty members will read a file that has significant “character and fitness” concerns, for example. Usually, multiple members of faculty read foreign-educated applicants’ files, since grading and educational systems vary from country-to-country. What exactly do they consider when reading a file? We cannot speak for all schools. The remainder of this piece will apply to the school we know the best: Stetson University College of Law. We review files electronically as soon as they are complete and send out decisions on a rolling basis. We also make scholarship determinations at the same time, so applicants usually know if they are getting a merit award at the same time they are offered admission, with some exceptions. File reviewers examine the academic record (transcripts and data LSAC provides showing how you stack up to peers). They’ll look at electives taken, grades earned and grade trends across all college courses. The readers do not prefer any particular major(s), but will attempt to assess rigor throughout the curriculum. Finally, if we are unfamiliar with a particular college, we look it up to learn about its academic reputation. Specifically, on grade trends, we have seen students take until their second year to realize that they were pursuing a major they hated. For others, life interrupted their journey and they had to deploy, work full-time, raise children, help care for a loved one, etc. Did you lose a loved one or get really sick? We encourage applicants to write an addendum to tell us about any obstacles in their academic journey. Next, the LSAT is important and must be taken seriously. At Stetson, we look at the high score, but encourage students to tell us what happened if their multiple scores vary widely. There was a case where students took the LSAT with a marching band practicing outside of their test room. One question we get is about the LSAT writing sample. If you can, try and print neatly if you are taking the LSAT by hand. That writing sample tells us how you write under pressure with no one to edit your work but you. We care about the Personal Statement and spend time reading every word. In our blog about the Personal Statement, we tell you everything you need to know about writing a good statement. From a reviewer perspective, just remember to EDIT, address the topic schools ask you to address, tell us why you want to go to law school and Stetson, and stick to the page or word count given in the instructions. This personal statement is like an interview on paper and your writing quality and attention to detail matter. If you are looking for a place to list of all your many accomplishments, then upload a resume and completely fill out the application itself. Don’t waste valuable personal statement real estate giving reviewers a chronology of your life activities. Use the personal statement to tell us who you are and why you will make a great Stetson Lawyer. Don’t forget to edit and then edit again! Finally, good, thorough letters of recommendation, especially from faculty, are helpful to a reviewer. Choose your recommenders wisely, and someone who really knows you, plus give them plenty of lead time. Pay attention to the details and do your very best to put your true self in front of the admission committee. At Stetson, we look for leaders, public servants, hard workers and, as explained before, skills and experiences that you cannot determine from the LSAT and GPA alone.